September 15, 2007 the Branson Veterans Task Force will hold the POW/MIA Silent March beginning at 9:00 a.m. starting at the main Post Office going North on Commercial St. to Main St. turning East on Main St., going East on Main St. to the Fountain at the Branson Landing where a short ceremony will be held. September 11, 2007 the Branson Veterans Task Force will hold a ceremony 9/11 Branson Remebers behind the Grans Palace beginning at 8:00a.m. All first responder’s, law enforcement, fireman and medical personnel throughout the Tri-Lakes area are invited to attend. A lite breakfast will be served to those individuals provided by the Golden Corral starting at 7:00 a.m. The community is cordiall invited to attend the 8:00 a.m. ceremony. The Torches Across America Organization will be attending this year’s event. OZARK TV brings Branson’s messages for the Holidays! OZARK TV will be scheduling times to shoot Holiday messages from Branson to our friends and neighbors at the Lake of the Ozarks! 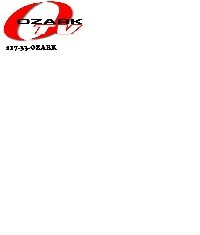 Please call Randy @ 417-33-OZARK to schedule your business Holiday greeting. We only have eight spots available for Thanksgiving, Christmas, and New Years! At 12:00 p.m. Noon to 12:01 p.m. all sirens from police, fireman, ambulances and storm warning systems within the Tri-Lakes area will sound their sirens in remembrance of the unconditional surrender of the Japanese aboard the USS Missouri to end WW II. We ask that those driving to please not blow your horns, however if you feel that you must, please pull over to the side of the road or into a safe area to do so. The World's Largest TITANIC Museum Attraction in Branson recently announced an extensive line-up of NEW interactive events happening now through spring 2008 which are designed to entertain, enlighten and encourage hands on participation for guests of all ages. Beginning Thursday, September 20 through Sunday, September 23, guests are invited to watch award-winning sculptors shape a Titanic masterpiece from a 15-ton, mountain of imported sand. Upon completion, the sculpture will measure more than 20 feet from stem to stern and will tower more than 8 feet above TITANIC'S beach area. Professional sculptors will be on hand to give children – and any adult with an urge to be a kid again – tips on building sand castles of their own. This four-day event is another free, TITANIC Museum Attraction family experience. To view photos of similar, previous events, visit www.titanicbranson.com/media. Ready, set, sing. Oscar Mayer and American Idol have teamed up to produce a nationwide children's talent contest for kids age six and older. The winner will star in Oscar Mayer commercials, sing the famous jingle and receive a college scholarship worth $20,000. Selected as an official tryout headquarters for the Branson area, the TITANIC Museum Attraction invites kids who think they can "cut the mustard" to come in for an audition. "If an Oscar Mayer wiener is what you're little one truly wants to be," says TITANIC co-owner Mary Kellogg Joslyn, "then this could be his or her chance to shine in the hotdogger's exciting new contest, "˜Sing the Jingle, Be a Star'." Visit www.singthejingle.com for additional contest information. will host a special wine tasting event that promises to be an evening of elegance and style aboard ship. Michael Gelman, wine aficionado and executive producer of Live with Regis and Kelly, and his wife, TV personality Laurie Gelman, will be the celebrity guests of honor. Attendees will meet the Gelmans, hear behind- the-scenes stories about Live and learn Michael and Laurie's secrets of fine wine selection. Bijan's of Springfield will cater the affair, with wine sampling selections from Palate Winery. Admission: $100.00 per person. Space is limited, so reservations are required. Call 417-334-9500 or for more information or to make reservations. To view the Gelman's photo, visit www.titanicbranson.com/media. The Saturday, October 13 event has been sold out. To meet additional reservation demands for this popular mother/daughter event, TITANIC has scheduled a second day of tea parties on Sunday, October 14 from noon to 4 p.m. Etiquette rules, proper manners, place-setting protocol, pouring techniques and refined behavior will be served along with finger sandwiches, sweet delicacies and fine English tea. Each one-hour booking of 100 young ladies includes the Princess Tea and a TITANIC tour. Visit www.titanicbranson.com/media for photos of last year's Princess Tea Party. Throughout December, Father Christmas will drop anchor at Branson's TITANIC Museum Attraction to brighten spirits and spread the joy of the season. Visitors will find him holding court on the Grand Staircase, surrounded by children eager to catch his eye and whisper wishes in his ear for what they hope awaits them Christmas morning. February: "Sweetheart Month" Celebrations with TITANIC's Jack and Rose. March 1 – March 18: TITANIC Salutes the Irish, a celebration of Gaelic traditions and music. The Branson Veterans Task Force will hold its monthly City Wide meeting August 29, 3:30 p.m. at the Hawthorn Bank, formerly (Citizens Union State Bank), community room, 4675 Gretna Rd. Press Release information will be given on several up coming events. The Fourth Annual Roy Rogers-Dale Evans Roundup is September 14-16, 2007. Join us at The Roy Rogers-Dale Evans Happy Trails Theater & Attraction for a weekend full of fun activities. The weekend kicks off with a Meet & Greet at the Welk Resort, with displays and demonstrations on the Museum grounds on Saturday. A big Rogers Family Reunion will be loads of fun as we celebrate 40 Years of Happy Trails, commemorating the original opening of the Museum in California in 1967. The highlight of the weekend is the Official Fundraising Dinner & Show on Saturday night, September 15. Tickets are $125 for adults, $75 for kids, and include supper and a show with Roy Rogers Jr. & The High Riders. All proceeds from this event benefit the Museum, a nonprofit organization, and will enable us to improve and maintain our displays, and continue developing educational programs for the kids. Help us ensure that the legacy of Roy Rogers and Dale Evans lives on for generations to come! Call 417.339.1900 for Reservations Today! THE BRANSON VETERANS TASK FORCE HAS BOOTH SPACE AVAILABLE FOR VETERANS WEEK NOVEMBER 5-11, 2007. FOR RESERVATIONS CALL 417-337-8387. NOW IS THE TIME TO BE THINKING OF AN EVENT FOR THE WEEK AND IF YOU WOULD LIKE TO VOLUNTEER, PLEASE CONTACT MARLYCE 417-239-4524. BE WATCHING FOR OUR UPCOMING PRESS CONFERENCE WHERE WE WILL ANNOUNCE OUR THEME, COLORS, SCHEDULE OF EVENTS AND GUESTS! Branson, Missouri July 31, 2007: It's official; The Great American Wild West Show Coliseum is being built in Branson, Missouri. Ground Breaking Ceremonies for The Great American Wild West Show Coliseum were held Wednesday July 25th in the "new" Canterbury Gardens Development on Gretna Road. Following the Ground Breaking Ceremony a reception was held where the plans for Branson's newest themed Retail & Entertainment Destination "Canterbury Gardens" were unveiled. The 18-acre "Wild West Plaza" will anchor the Canterbury Gardens Development with The Great American Wild West Show serving as the cornerstone and catalyst of the development. In addition to the 60,000 square foot Coliseum, Wild West Plaza will feature an additional 60,000 — 80,000 square feet of Specialty Retail Outlets, Themed Eateries, Entertainment Offerings and State of the Art Livestock Stables where visitors will be able to view the magnificent performance animals that appear in The Great American Wild West Show. The Great American Wild West Show is the largest and most celebrated show of it's kind! From Buffalo Bill's grand arrival to the "˜star spangled' grand finale, this non-stop, action-packed show is filled with a grand array of breathtaking daredevil riders, mesmerizing Indian "˜hoop' dancers, Hollywood horses, Trick ropers and sharpshooters, the Deadwood Stagecoach and many other Western hallmarks. State of the art lighting and musical scores and award winning performers bring to life the very stories and heroes, people and places that shaped the American Wild West. "It is Pageantry, It is History, Its action and thrills. It is the American West in all its glory. The Great American Wild West Show is family entertainment in the grand manner of Buffalo Bill and his contemporaries.